Our July luncheon was a lovely gathering of 60 alumni, including some who had travelled long distances. Our tables were grouped in year groups with ex-students from 1945 to 1972. It was wonderful to once again have ex-Principal Ann Rusden with us. Ann started CHESS and continues to be most supportive. Our distinguished author and alumnus Hazel Edwards OAM is best known for her book There’s a Hippopotamus on Our Roof Eating Cake. 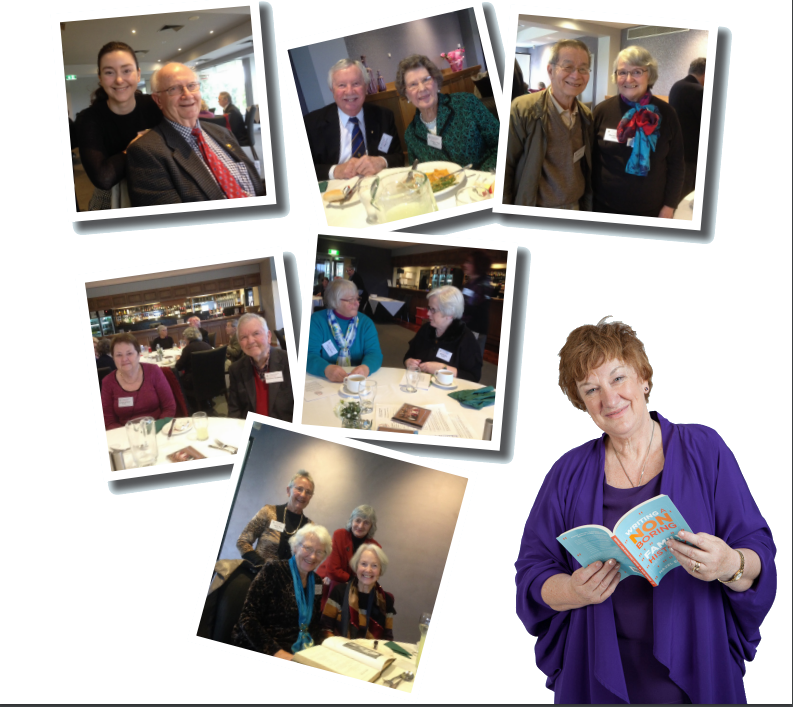 Hazel gave us helpful and amusing tips from her book How to write a non-boring family history. Many attendees appreciated the opportunity to come to a CHESS function during the day, and we are hopeful that it will become an annual event. Postscript Hazel has forwarded an e-pub version of ‘Authorpreneurship: The Business of Creativity’. This is a gift for those that spoke to Hazel about marketing their books. CHESS will also consider Hazel’s advice about making Robert Ewins’ A Jubilee Retrospective an e-book.